Registering for corporate income and privilege tax accounts is a requirement for many businesses. Nonprofits that are tax exempt on the federal level are often eligible to apply for exemption from these taxes. State tax authorities penalize companies that do not comply with the laws to register for and pay corporate income tax. This guide summarizes the key concepts involved in obtaining tax identification (ID) numbers, applying for exemption certificates, and maintaining corporate income tax compliance. Corporate income tax is a tax on the net income of corporations. In most cases, only corporations are subject to this tax. Privilege taxes are imposed on businesses for the right to conduct business in a given state. Privilege taxes are usually based on the gross receipts or net worth of a business, but some are levied as a flat fee. States often use terms like franchise tax, business entity tax, or business and occupation tax to refer to their local privilege tax. Some states have privilege taxes that apply to very specific groups of businesses, such as banks or other financial institutions, but this guide does not cover those taxes. Exemptions from corporate income and privilege tax are frequently available to nonprofits that are federally exempt from income tax. While in some jurisdictions your organization must expressly apply for an exemption, in others your organization is automatically exempt upon receiving federal exemption. All states except for South Dakota and Wyoming subject businesses to a combination of corporate income and privilege taxes. Forty four states and the District of Columbia currently impose corporate income taxes on corporations, while seventeen states levy broadly applicable privilege taxes. Not all corporate taxes are levied or administered by the state. Some cities and counties levy general business privilege taxes on entities located within their jurisdiction. This requirement is most commonly held in heavily populated cities or counties. In each jurisdiction where registration is required, the entity applies for a tax ID, pays estimated income taxes per the required schedule, and files a corporate tax return at the end of the year. Although almost every state has a corporate income or privilege tax, relatively few states require registration prior to filing a return. Currently only twenty states require registration before a business files its first income tax return. After registration, entities are issued a department of revenue identification number. Ohio and Pennsylvania, however, issue an ID that is specific to the corporate income tax account. States that do not require registration simply use the federally issued employer identification number to track businesses. In many states, nonprofits are automatically exempt from corporate income and privilege taxes after receiving their IRS determination letter. Seventeen states and the District of Columbia, however, require nonprofits to submit an application or supporting documentation before an exemption is granted. Nonprofits should not assume they are exempt from paying corporate income and privilege taxes. The chart below outlines each state-level process for obtaining exemption. File an initial business privilege tax return within 2.5 months after the date of incorporation or qualification to register for the privilege tax. There is no need to register before filing corporation income tax. LLCs will typically file partnership income tax, but this depends of how the IRS classifies them. There is no need to register before filing partnership income tax. There is no separate registration for corporate income tax. LLCs will typically file partnership income tax, but this depends of how the IRS classifies them. There is no separate registration for partnership tax. There is no need to register before filing a corporation income tax return. The secretary of state administered franchise tax also does not require registration. Most LLCs do not file Corporate Income Tax returns. The secretary of state administered franchise tax also does not require registration. There is no need to register with the Franchise Tax Board. There is no need to register for a Business Income tax account. 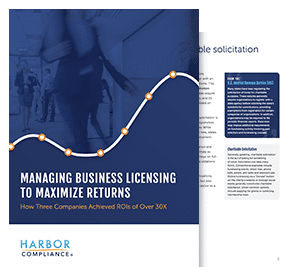 Most LLCs will file form 106, Business Income Tax Return for Pass-Through Entities, to confirm that income is taxed individually. There is no need to register for an Income tax account, you are automatically registered upon submitting a return for the first time. Register using the relevant section of the business taxes registration application. Corporations must register for either the corporation business tax or business entity tax but not both. Generally C Corporations file corporation business tax while S Corporations file business entity tax. Register using the relevant section of the business taxes registration application. There is no corporate income tax specific registration, but most entities will need to file a combined registration application. There is no registration for the department of state administered franchise tax. Most LLC types do not file Corporate Income Tax returns. There is no registration for the department of state administered franchise tax. Register using the FR-500 application or online system. Some LLCs will need to file a partnership information return. There is no registration required before making this filing. No separate registration is required for corporate income or net worth tax, but entities may need to register before filing for other taxes. LLCs will typically file partnership income tax, but this depends of how the IRS classifies them. There is no separate registration required for partnership income tax. There is no separate registration for corporate income tax or franchise tax, but entities will need to register for a tax ID before filing a return. Only banks and financial institutions are required to file franchise taxes. There is no separate registration for partnership income tax, but entities will need to register for a tax ID before filing a return. Entities are not subject to both franchise tax and corporate income tax. There is no separate registration required for corporate income or franchise tax. There is no separate registration required for business income tax, but firms should use the business registration application to register with the department. LLCs will typically file a partnership income tax return, but this depends of how the IRS classifies them. There is no separate registration required for business income tax, but firms should use the business registration application to register with the department. No separate registration is required for corporate income tax, but entities may need to register before filing for other taxes. Register using form CR-16 and completing the required sections. Register using form CR-16 and completing the required sections. LLCs will typically file partnership income tax, but this depends of how the IRS classifies them. Register using the consolidated tax application or online. Register through the online system to set up tax accounts. LLCs may be required to file a partnership return and should register through the online system. There is no need to register before filing corporate income tax. Other tax types may require registration. There is no need to register before filing corporate income tax. Other tax types may require registration. LLCs may be required to file a pass through entity return. There is no separate registration for corporate excise tax, but corporations may need to register for other taxes. Most LLC types do not file Corporate Excise Tax returns. Corporations must register for Corporate Income Tax using either form 518 or the online system to register. Most LLC types do not file Corporate Income Tax returns, but this depends on their IRS classification. Corporations must register before filing corporate franchise tax returns. Most LLC types do not file Corporate Franchise Tax returns, but this depends on their IRS classification. LLCs may also be required to pay the Minimum Fee. If either of these taxes apply, the LLC will need to register. Corporations must register before filing corporate income and franchise tax returns. Most LLC types do not file Corporate Income or Franchise Tax returns, but this depends on their IRS classification. If either of these taxes apply, the LLC will need to register. Most LLC types do not file Corporate Income, Franchise Tax, or Partnership Tax returns, but this depends on their IRS classification. If any of these taxes apply, the LLC will need to register. Most LLC types do not file Corporate Income Tax returns. Corporations must register before filing corporate income tax returns. Entities that file with the Secretary of State are automatically registered for commerce taxes. Entities that file with the Secretary of State are automatically registered for commerce taxes. LLCs are liable to pay commerce tax. There is no need to register for a Business Income tax account, this happens automatically upon filing the first return. Business entities are generally required to file both Business Entity Taxes and Business Profit Taxes. Corporations must register before filing corporation business tax returns. Most LLC types do not file Corporate Business Tax returns but may need to register for other tax types. Most LLCs will file a pass through entity return, but they must first register for a tax ID. There is no need to register before filing a franchise tax return. Other tax types may require registration. Depending on IRS classification, LLCs may not be included in this tax. There is no registration required for Franchise Tax. No need to register for a Business Income tax account. An account is created after you file a return for the first time. Most LLC types do not file Corporate Income Tax or Franchise Tax. Depending on IRS classification, LLCs may not be included in this tax. There is no registration required for Corporate Income Tax. The Commerical Activity Tax applies to most business entities in the state of Ohio. You must register first before filing a return. There is no registration for corporation franchise tax. The Commerical Activity Tax applies to most business entities in the state of Ohio. You must register first before filing a return. There is no need to register before filing corporate income tax or franchise tax. Other tax types may require registration. Depending on IRS classification, LLCs may not be included in this tax. There is no registration required for Corporate Income Tax or Franchise Tax. No need to register for a Business Excise tax account. Most LLC types do not file Corporate Excise Tax or Corporation Income Tax, but some are liable for the Partnership Minimum Tax. No need to register for a Corporate Net Income tax account. An account is created after you file with the Secretary of State. Most LLC types do not file Corporate Net Income Tax. There is no need to register before filing business corporation tax. Other tax types may require registration. Depending on IRS classification, LLCs may not be included in this tax. South Dakota does not have a corporate income tax. There is no need to register for franchise tax as this takes place during the incorporation or foreign qualification process. There is no need to register for franchise tax as this takes place during the formation or foreign qualification process. There is no corporate income tax specific registration, but the department uses the business and tax registration application to set up the account. There is no need to register before filing business entity or corporate income tax. Other tax types may require registration. Corporations can register for Corporate Income Tax using form R-1. Most LLC types do not file Corporate Income Tax. Register before filing. Washington does not have a corporate income tax. Register before filing. Only public service companies need to file business and occupation taxes. LLCs may need to file depending on their IRS classification. Wyoming does not have a corporate income tax.